Breaks and what not are off the clock and at that point, its all about my world.. I don’t care if its at a logging camp, a deep mine or dam construction in Montana..
It’s my lunch, world and time.. if it involves my beloved pizza oven, a wicker picnic basket or bento boxes, it is, what it is.. I really like the wood and lacquer bento boxes, they have that art and functionality thing going, which lends its-self to the zen of lunch.. they just don’t hold enough. But a Mr. Bento and a cooler is quite the solution.. 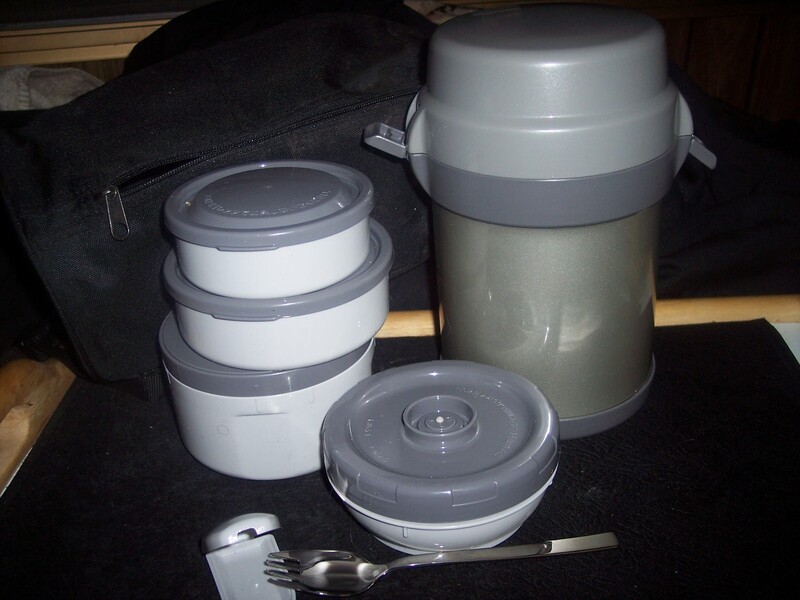 I like small portions of a lot of things and its the king of that… a tortilla warmer deals with naan or chapati.. the cooler gets stuffed with fruit, and salad stuff, or bulky items, a plate, coffee tools etc.. and there’s usually a butane stove in the truck in case I want to actually cook..
I’m havin a picnic and enjoying the time.. which seems reasonable.